Oia, Fira, Imerovigli or Perissa? Discover the best villages and hotels in Santorini. Santorini is a unique place on earth. A volcano island that offers astonishing views and infinite possibilities to enjoy a broad range of vacation from partying hard to romantic getaways. We often get the question “Where to Stay in Santorini?” and we decided to create a useful guide for you to help you get the best possible places and hotels to stay according to how you want to enjoy the island. 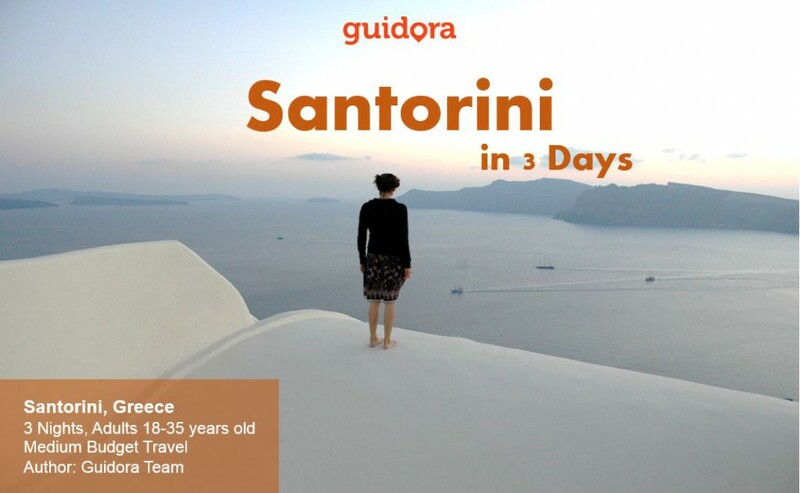 This is part of our Kindle Guide: “Santorini in 3 Days, Travel Guide”, which you can get here. There are four (4) main places where visitors stay in Santorini: Fira Village (the capital), Imerovigli Village (close to Fira), Oia (fantastic sunset) and Perissa (black beach, cheaper place to stay). However, you have to know that if you stay at these areas, you will not have the “I wake up, open my door and walk to the sea” type of staying, as they are up on the volcano’s caldera. All these areas offer great views but poor access to the sea. Fira is the biggest village of Santorini Island; it has the most visitors on the island, ranging from youngsters who want to party in the clubs of the village, to couples who enjoy the scenic views of the caldera and the fabulous restaurants and hotels. Fira is built on top of the volcanic caldera, so it doesn’t have a beach, and you will have to drive 10kms to get to a decent beach to swim. Fira village is quite expensive and if you can save some money if you choose to stay at “Karterados” village, which is 3.5kms away from Fira village. Of course, you will have to drive to Fira every night (or get the bus), and you have to know that you will have to leave your car at the parking in the entrance of Fira and walk on foot (about 500m). Fira offers five(5) 5-star hotels and fifteen (15) 4-star hotels. Plus: Amazing views to the caldera and the volcano, excellent for romantic getaways, Great Hotels and Restaurants, all the nightlife of the island is here, the best shopping in Santorini is in Fira. Cons: Expensive compared to Perissa, Perivolos, Karterados and other villages. It is also to crowded during July and August, up to the point that you need to push people to walk in the busiest streets. If you have rented a car there is no (or extremely difficult) parking inside the village. Finally, Fira doesn’t have a beach and you will have to drive 20 to 25 minutes to get to the closest beach, or get a taxi/bus to go there. 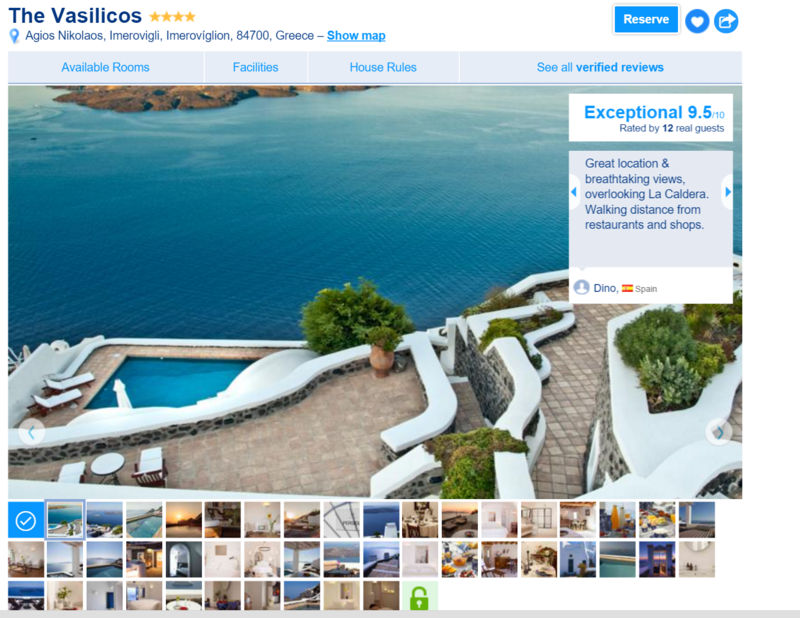 This is a four-stars hotel, which is located in Fira and offers amazing views to the volcano and the sea. During August, the price for a double room is around 520 euros per night. It has a 9.6 rating at Booking.com and offers excellent breakfast, service and facilities. 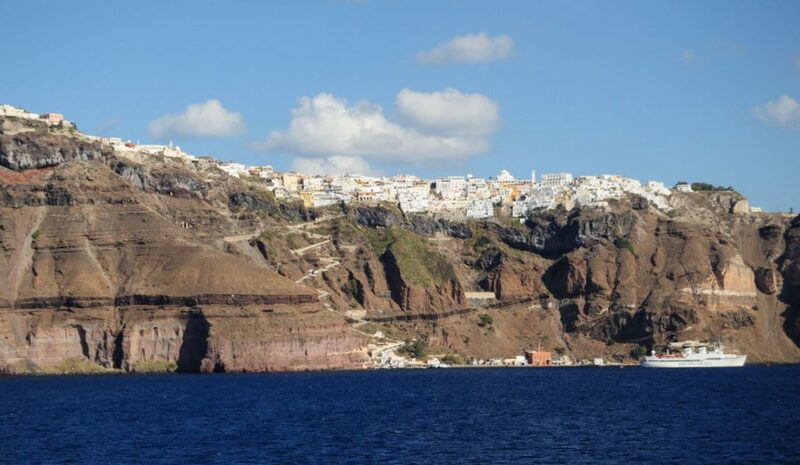 Imerovigli is 2.6 kms away from Fira, which is an 8 minutes drive without traffic. Imerovigli is also built on the caldera hill and offers fantastic views. It is less crowded than Fira, and usually, many couples choose to stay at Imerovigli for their honeymoon. It doesn’t offer a beach and it’s not for young people who want to party. It is romantic, with white houses and fabulous hotels. Imerovigli offers six 5-star hotels and ten 4-star hotels. Oia is well known all over the world for its fantastic sunset. Oia is a beautiful village with small, white houses and famous restaurants. Oia is quite expensive to stay, though. It doesn’t offer any great beach to swim, and you will have to drive through a tiny and crowded road to get to Fira in the evening. Oia has thirteen 5-star hotels and seven 4-star hotels. Obviously, Oia is the most luxurious village in Santorini and here you can find hotel rooms, which are actually caves inside the caldera, which cost up to 3.000 euros per night. Don’t worry, later on, we will let you know the best value hotels to stay in Oia. You should stay at Oia if you are on a honeymoon, or if you are looking for romance with your partner. It’s also a great place if you are a photography lover. Don’t stay at Oia if you are looking for parties and you want to spend a lot of time on the beach. Perissa is the cheapest place to stay on Santorini island. 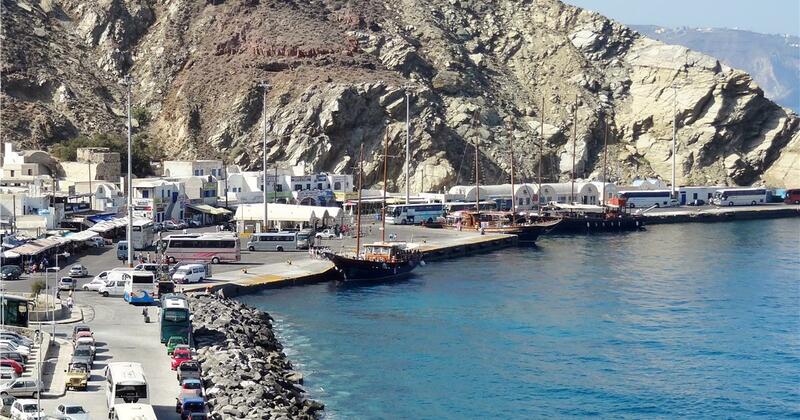 And it is by far the ugliest village of Santorini, compared to Oia, Fira, and Imerovigli. The good things about staying at Perissa are the cheaper prices and the proximity to the beach life. Perissa offers the vast black beach (at least 5kms of a black sanded beach) and many great beach bars where you can relax and enjoy yourself. 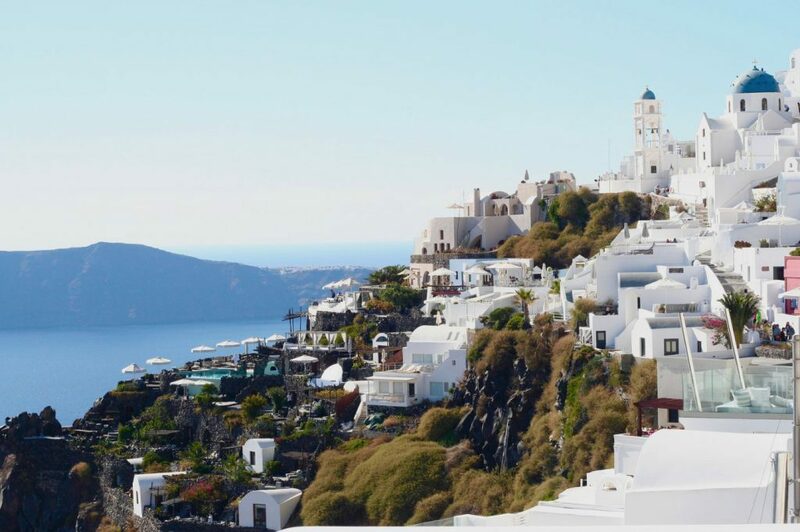 As we pointed out, the village doesn’t offer any scenic views, as it is on the sea level and not built on the caldera rocks (unlike Oia, Fira, and Imerovigli), and the village has nothing special to offer you regarding architecture and beauty. Don’t stay at Perissa if you are on a honeymoon. Stay at Perissa if you are a bunch of friends or a couple, looking for the cheapest possible accommodation on the island. – How Big is Santorini, Greece? Santorini is only 18km in its length and 5kms wide. It is a small volcano island! -Where is the port in Santorini? Santorini has only one port and it is in the middle of the island, around 4 km away from Fira, which is the main village of the island. The name of the port is Athinios, and you can see it below. 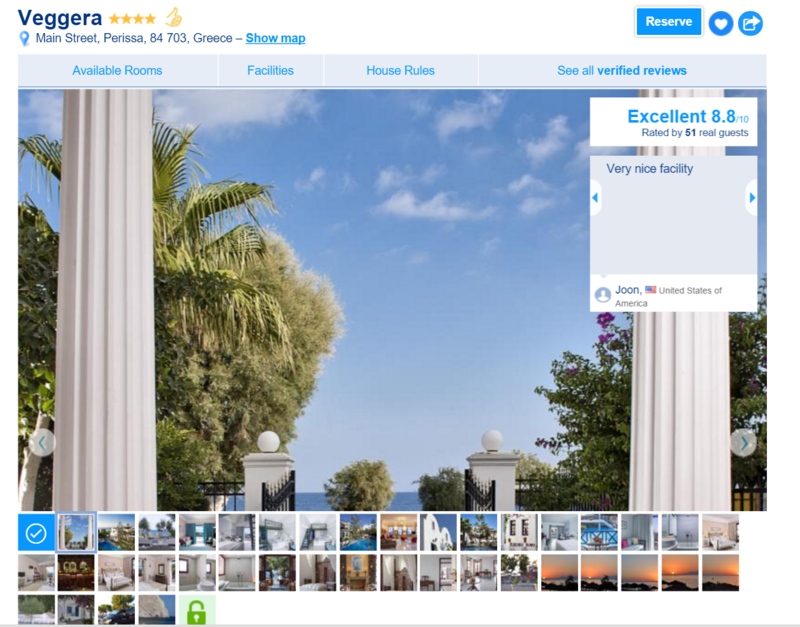 – Where is it better to Stay, in Oia or in Fira? Oia is more romantic, quieter and with fewer people than Fira. For a honeymoon, you should better stay at Oia. If you like parties, crowds, more fun, and action, you should stay at Fira. The drawback of staying at Oia is that it will take you longer to get to the south beaches of the island, as there are no beaches close to Oia. The roads are small and they get busy, so you are going to need at least 20 minutes more to get to the beach, than if you stay at Fira. – Where to Stay in Santorini to Party? You should stay in Fira Village. It is the most crowded place, with many bars and nightclubs. All the young people stay here, or close to Fira. If you don’t have the budget to stay inside Fira, try to stay in Karterados village, which is 4kms away. – Is there an airport in Santorini? Yes, there is a small airport in Santorini, around 7kms away from Fira, the main village of Santorini. -Where to Stay in Santorini on a budget? Santorini is expensive. The most budget-friendly places to stay are Perissa village and Karterados. During the high season, you will end up paying 50 to 60 euros per night for a very basic flat. Don’t expect to get good value for money in Santorini. Airbnb will not save you, as the rooms that are rented on Airbnb are also expensive. -Where to Stay in Santorini on Honeymoon? You should stay either in Oia village or in Imerovigli. You can visit Fira just for the views, but you will have a much more relaxed honeymoon if you stay at Oia or Imerovigli. The first choice would be Oia village in that case. – Where is the nightlife in Santorini? The nightlife in Santorini is only in one village, the Fira village, which is the biggest village on the island. So, if you ask yourself “Where to party in Santorini”, you should stay at Fira village. 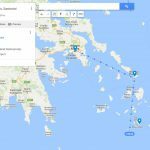 – Which is closer to Athens? Mykonos or Santorini? Mykonos is closer to Athens. You need another 3 hours with the boat to get from Mykonos to Santorini. – When to Visit Santorini? The touristic period starts in March and ends in October. The high season is July and August. August is really crowded and the temperature is very high. The overall best months to visit Santorini are July, August, and September. The most expensive month to visit Santorini is August. The cheapest months are March, April, and October. The sea is at its warmest in August and September. 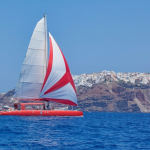 – How much are flights from Athens to Santorini? If you get a low-cost airline (e.g. 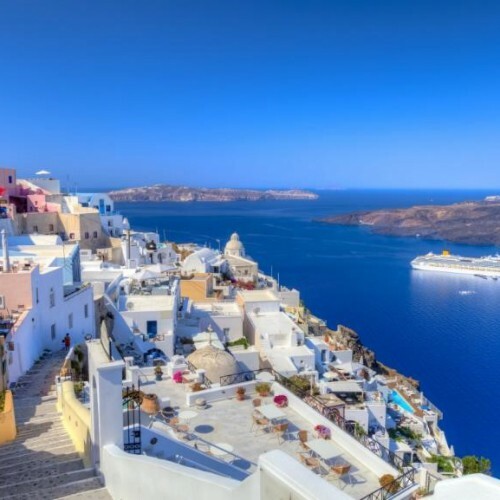 Ryanair or Easyjet) and book early enough, you might find a one-way ticket from Athens to Santorini at even 30 euros per person. The average price is around 80 euros for one person for a one-way ticket from Athens to Santorini. You can check all flights at www.viva.gr. – Where did the Kardashians Stay in Santorini? They stayed at the Andronis Hotel in Santorini. Funny question, but we got it sometimes, so we thought we should answer it! -Why are Hotels in Santorini So Expensive? Santorini is a volcano island and it is very far away from Athens. So, if you want to build a hotel, the cost is very high. Moreover, the local government construction office prohibits the construction of super big hotels, in order to keep the beautiful architecture of the island intact. You will not find 10-floor all-inclusive hotels with thousands of people in Santorini. Moreover, the cost of maintenance for the hotels is high as for example the island doesn’t have its own water supplies and each hotel has to bring water with ships and fill in its tanks, to serve its customers. Finally, Santorini has become really popular in the past 15 years and millions of visitors flee there. For all these reasons, the Hotels in Santorini are so expensive, especially during the high season. – Which are the Most Expensive Areas to Stay in Santorini? Oia Village, Imerovigli, and Fira Village are the three most expensive areas to stay in Santorini. – Which are the cheapest areas to Stay in Santorini? 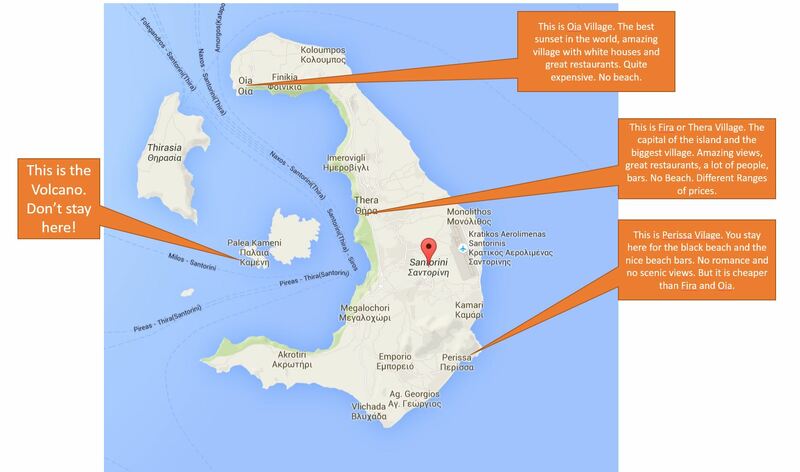 Kamari Village and Perissa village are the cheapest areas to stay in Santorini. 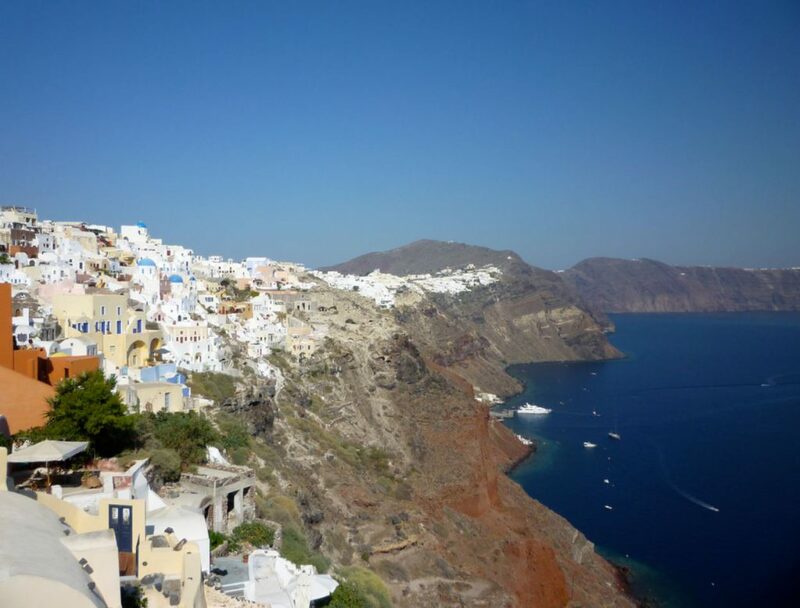 Of course, you don’t get the views to the caldera that you can get when you stay at Oia, Fira or Imerovigli. 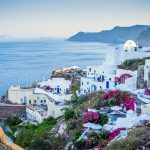 – Should I use Airbnb to stay in Santorini? 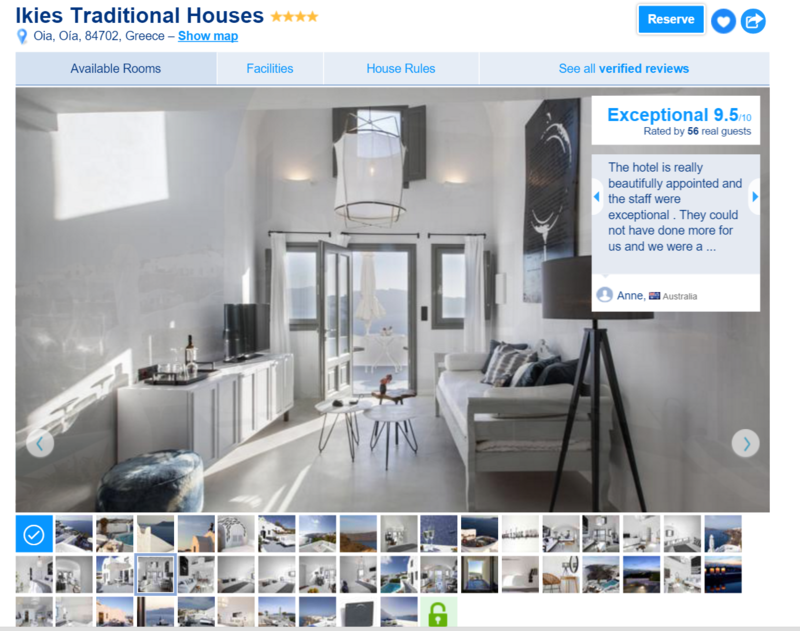 You could try finding an Airbnb accommodation for your stay in Santorini, but you will not find any great opportunities.Prices are high in Airbnb as well..Especially in July, August, and September that are the peak months for Santorini. 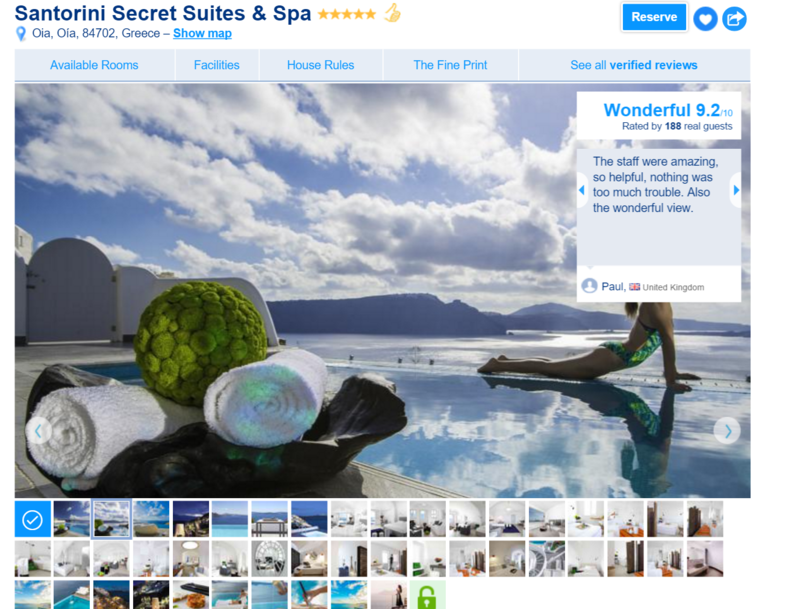 – Can I find a fantastic hotel with 50 euros per night in Santorini? No. You cannot. If you go to Santorini in August and September, you should plan for a budget of 120E to 150E per night for a double room, as the minimum to get a beautiful scenic view to the caldera. With 50E per night, you can stay in small, plain rooms outside of Fira, usually at Perissa or Kamari. If you are on a budget, the cheapest double room you can find in July/August is usually 40 to 50 euros for a very basic accommodation. No views, no breakfast and hopefully a clean room. 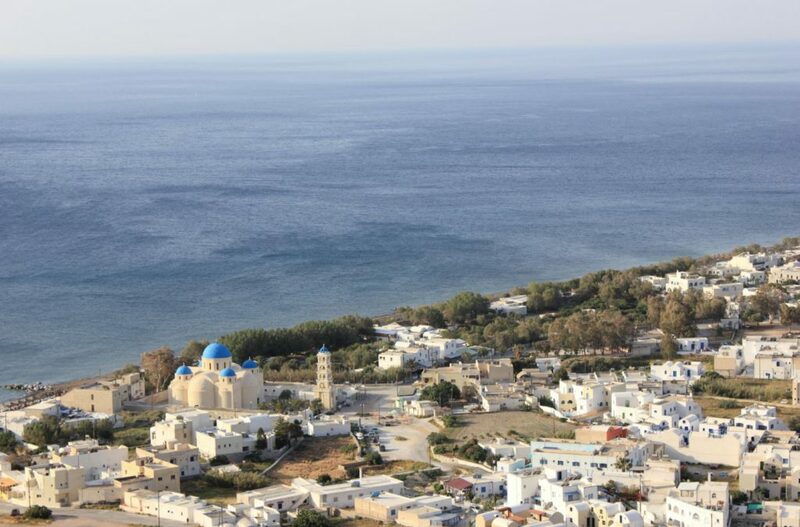 You should avoid searching the villages of Oia, Imerovigli and the center of Fira for this type of budget accommodation and look at villages such as Vlychada, Perissa or Vorthos (a couple of km away from the airport of Santorini). Unfortunately, we cannot recommend you any decent room at this price. We have stayed at more than 10 of them during the past years, but they are a basic type of accommodation. -Where can I get a map of Santorini? 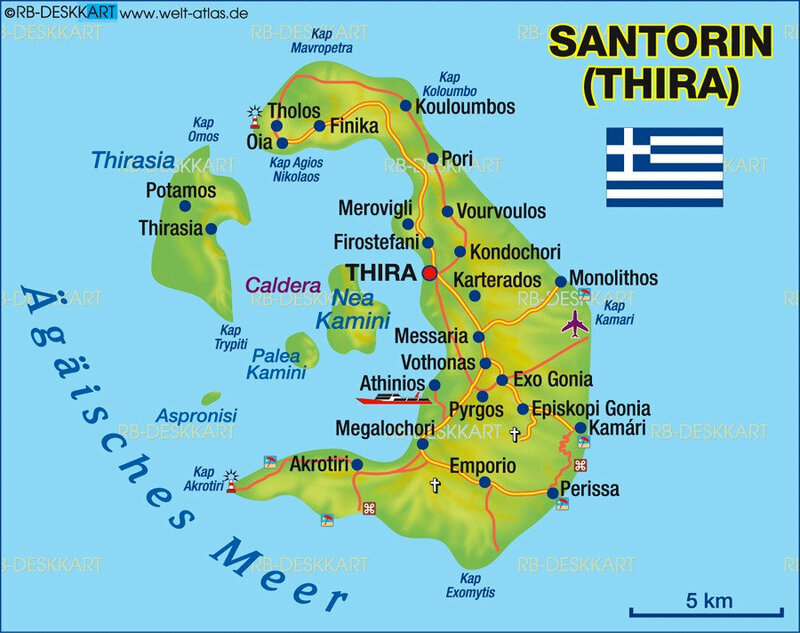 You can have a look at the villages and beaches of Santorini on the map below.Otherwise, you can always consult a google maps view of Santorini. 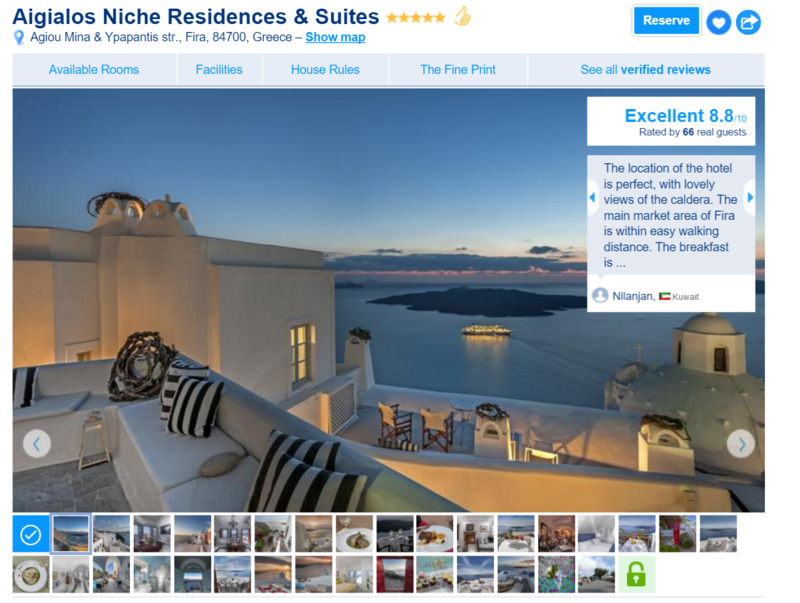 -Where are Santorini’s best views? You can enjoy the best views of Santorini from 3 places: From Fira village, from Imerovigli village and Oia village. Of course, as Santorini is a volcano island, you should be on the edge of the caldera to get these fantastic views, which made this little gem island worldwide famous. – Is it dangerous to drive in Santorini? Santorini is a volcano island. The roads are really small and with bad lighting in the evening. It has many scooters, many cars, and many other strange vehicles on the road at every time of the day. We cannot say it is dangerous, as the speeds are low, but certainly, it is not a breeze to drive in Santorini. You should always take care. 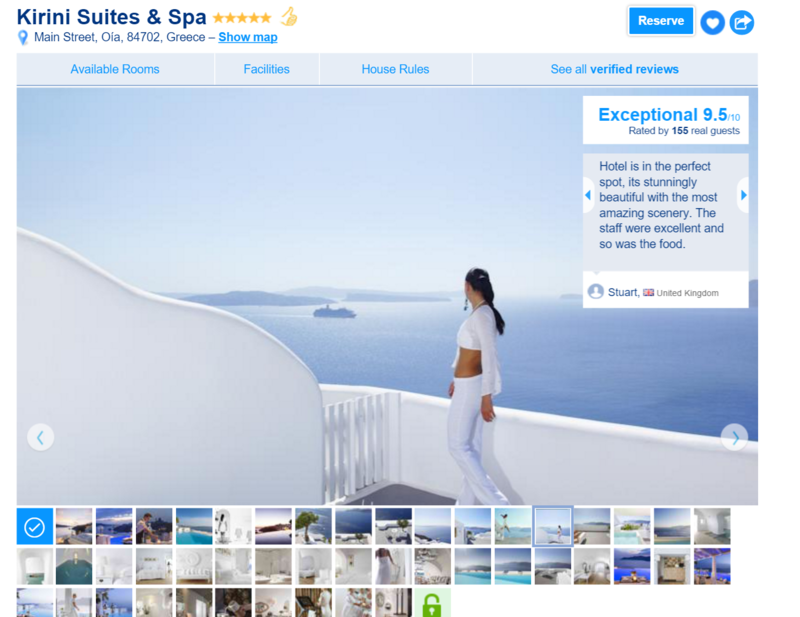 – Are the Rooms Big enough in the Hotels in Santorini? No, they are not..The land is expensive on a volcano island, so don’t expect to get US size hotel rooms. The baths are usually small, and the rooms are just ok to fit in a double bed with some extra space. Of course, they make it up for you with the fantastic balconies that offer scenic views to the caldera. 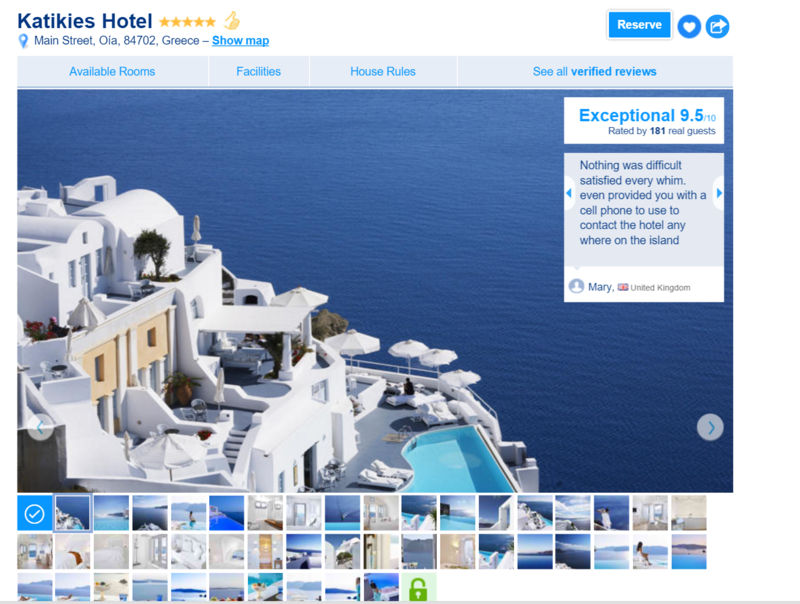 – Anything I should be aware of before booking a hotel in Santorini? You should know that sometimes, there is a strange smell coming from the volcano, which cannot be avoided. So, you may find yourself in a situation where you have a fantastic view of the caldera and a strange smell coming to you from the air…Unfortunately, you cannot avoid it, and it happens sometimes. 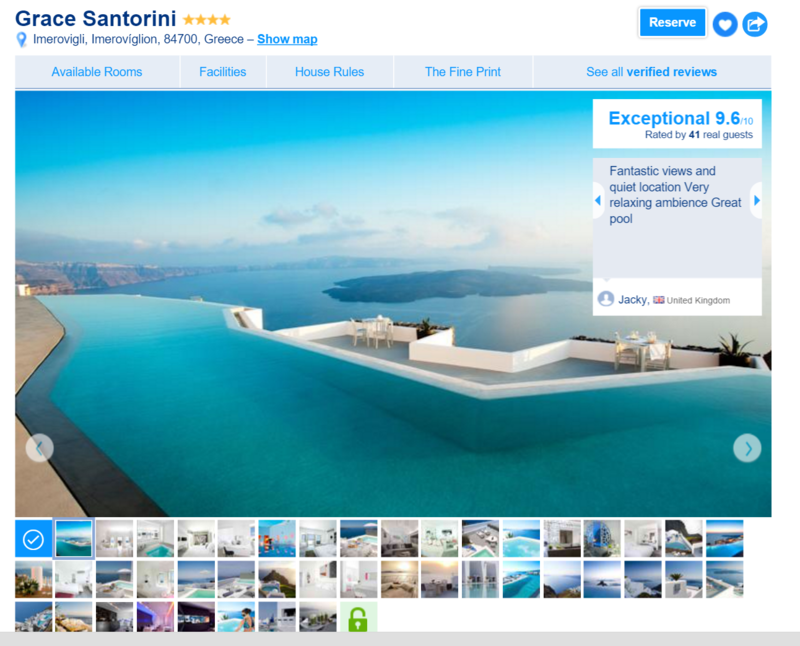 – Is it worth it to give 150E for a hotel in Santorini? Usually, the level of service that you get from the hotel is much lower than the one you get at a Hilton chain hotel for the same price. But on the other side, it is expensive to keep a hotel in Santorini. The owners have to pay a lot for the land; they have to buy water as there are no natural water supplies in this volcano island, and the food is always imported. Santorini produces wines, tomatoes, and very few vegetables. The experience to stay at a hotel with this amazing views of the caldera is one in a lifetime, so we recommend that you bite the bullet and spend some more money for your stay in Santorini. You will not regret it, and it is guaranteed that you will break the “facebook likes” record, once you start posting your photos on the social media. – What about Car Parking for my rent-a-car? You should always take care if there is a parking area for your rented car at the hotel you are staying. Santorini is busy in summer, and you might lose a lot of time to park, so always pay attention to that. – What additional packages, trips, excursions, do hotels in Santorini offer? Hotels in Santorini are affiliated with many tour operators and they usually allow you to book different excursions. The most common ones are a trip to the volcano and a trip around Santorini island with a boat. They also offer wine tours to the local wineries and scuba diving trips. 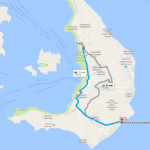 – How far is the airport from Fira, Oia, Imerovigli, Perissa? Santorini is a small island, and you can transfer yourself from the airport to Fira in 15 minutes with a 15E taxi. Going to Oia will take 35 minutes. – When Should I book my hotel to Santorini? If you plan to visit Santorini in July and August, you should pre-book your hotel two months ago, to make sure that you get an excellent price for a nice hotel. Santorini has many hotels, and you will not suffer from finding a place to stay even in the busiest time. However, you may end up paying a lot of money if you book it at the last minute. – When are the Busiest Months for Santorini? August is the busiest month for Santorini. Then, it is July and September. Santorini has visitors starting from May until late October. 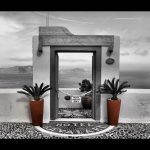 – When do Greeks visit Santorini? The locals go to Santorini usually in July and August. – When is it the best time to swim in Santorini? July, August, and September are the best months for swimming in Santorini. June and October are usually ok, even though the sea gets colder. The best site to book your tours and get a decent discount is GetyourGuide. 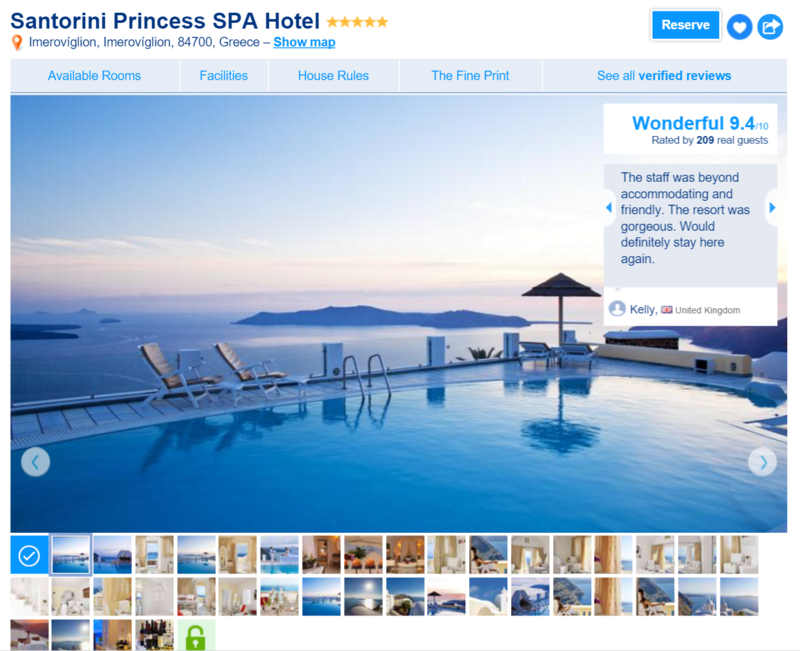 I am tossing up between Volcano View spa hotel in Fira or santorini princess or Astra suites. Can you please tell me the pros and cons of dtaying at each of theses hotels. Oia sounds bit too far, correct? Oia is indeed too far if you want to stay close to Fira. All three hotels you mention are great. Volcano view is 3kms outside of Fira, on the road to Perissa. The other two are not also in Fira but at Imerovigli, which is 2 Kms outside of Fira, on the road to Oia. Astra suites is the best choice albeit might be more expensive. The good thing about the two hotels in Imerovigli, is that they are in a small village, so you can get some tavernas outside of the hotel. The Volcano view is not in a village, so you will always have to go to Fira for whatever you may need in terms of restaurants, bars etc.